The most comforting cosy garment. Love how thick, not so delicate and vegetable-like the stems of these flowers are. Hardware store treasure hunting is my favorite hobby. Full white look from Australian brand Ellery, in Australian magazine Rush. Need to go to Australia. nice ! looks like summer.. Always love your compositions in photography. Great captures! These photos are extremely aesthetically pleasing. I like how you find beauty in everyday objects. 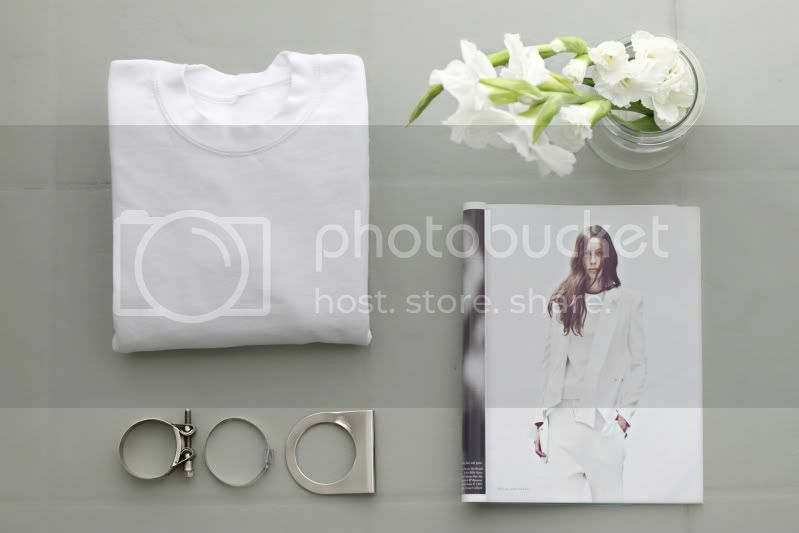 LOVE the simplicity and cleanliness of white details! Your photos are always so serene. So beautiful! COS heeft altijd hele mooie sieraden, maar helaas toch wat te duur voor mij..
simple, classic and elegant ..
Zo mooi weer babe ! Looking for a cosy shirt… Where is it from? 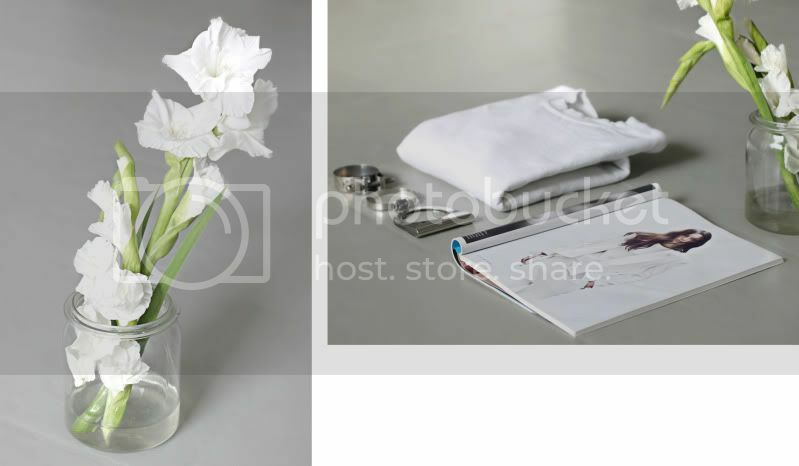 Really love gladiolus, especially the white ones! Nice pic as well! really like the variety of posts you have on your blog do you keep a rota or diary or is it purely luck? Can’t believe you discovered that “rings” at hardware store, you are AMAZING! Need you to come to Australia ASAP! You most DEFINITELY need to come to Australia! an empty jar used as a vase and hardware as jewelry. Love how you always turn items from hardware stores into something fashionable, creative! Can you give me a few tips to outfits when you are breast feeding? I find the most mum stuff ugly. And only wearing button-shirts …? Or can you recommend a website/brand/online store? I love those flowers. My favourite. Your blog has made me where white clothes again, thank you! nice photos! look great and so clean! You take the most beautiful photos of such ordinary things. Always amazed. i absolutely love the whole white theme. so fresh and clean and perfect. Yes! Definitely come to Australia! Haha. Your blog makes me want to hunt down the most comfortable perfect plain shirts ever . Perfectly simple and amazing collection of things. I want to reduce my breasts with breast aesthetics. Need a good plastic surgeon from Turkey.